Have your picture taken with Santa on top of Santa's Mountain, a replica of the one featured in the movie. In the famous scene, Ralphie Parker tells Santa what he wants for Christmas, and Santa responds, "You'll shoot your eye out, kid." After the photo is taken, children have the opportunity to slide down the big red slide. 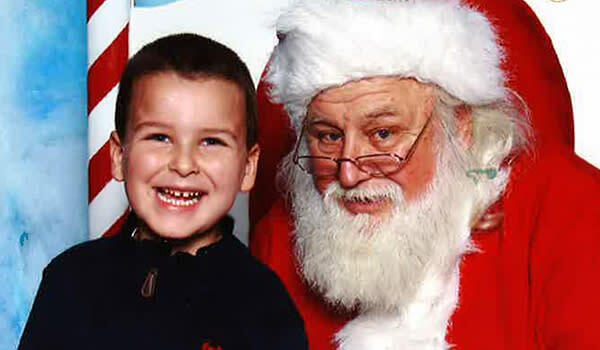 Photos with Santa on Santa's Mountain are $6 each. We accept cash, Visa, Mastercard and Discover card. 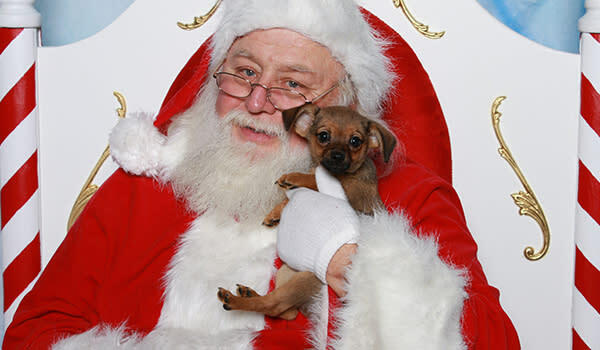 Bring your pets on by for photos with Santa on Wag Your Tail Wednesdays from 4:00 p.m. - 7:00 p.m. See schedule below. Photos are $6 each. Dogs and cats only, please! We will also be accepting donations for local shelters during this time. Please note: Dogs must be on non-retractable leashes.